Welcome to Hartlebury Castle's Volunteering Pages. 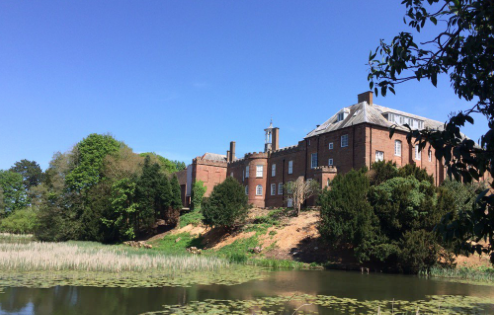 Hartlebury Castle is a Grade 1 listed hidden gem that served as the Bishop of Worcester's residence for over 1,000 years. This magnificent building is home to the internationally significant Hurd Library, the Worcestershire County Museum and beautiful gardens and grounds. Following major investment by the Heritage Lottery Fund, Hartlebury Castle re-launched in May 2018 as a new visitor attraction for Worcestershire. Visitors can now explore rooms in the Castle never before open to the public, promenade along the reinstated Long Gallery, marvel at talking portraits, explore the historic grounds and unearth stories about the Castle and those who lived there. The County Museum, which opened in the North Wing in 1966, remains an important part of the site, with stories and objects from Worcestershire's fascinating past featuring decorative arts, costumes and an outstanding transport collection including gypsy caravans. A new cafe has opened on site, the Bishops' Table, offering a variety of different lunches, tasty snacks and tempting pastries and there's also a small children's play area with a beautiful 'play caravan' hand-crafted by our volunteers. Hartlebury Castle in open Tuesday-Friday, 10am-5pm and Saturdays, Sundays and Bank Holiday Mondays, 11am-5pm.